A fascinating floating Art Deco inspired necklace with an unusual kinetic design made with CRYSTALLIZEDTM - Swarovski Elements. 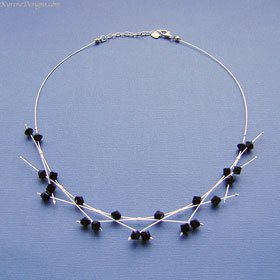 Black crystals contrast dramatically with all sterling silver components. 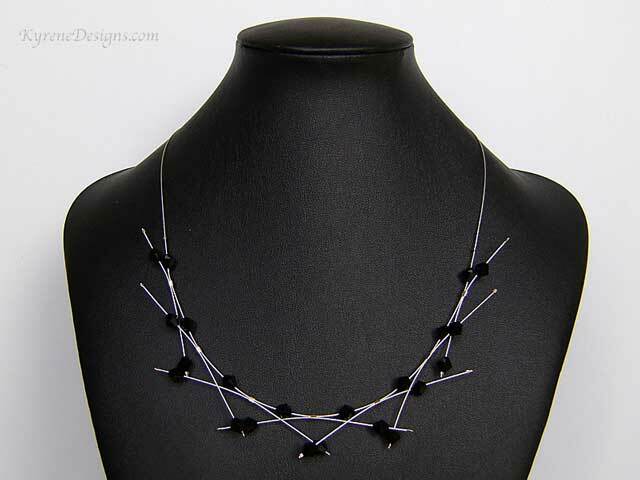 You'll be noticed with this very different necklace which is lightweight and comfortable to wear.